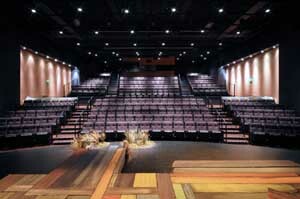 Park Square Theatre has been producing in the 350-seat proscenium auditorium of the Historic Hamm Building since 1997. 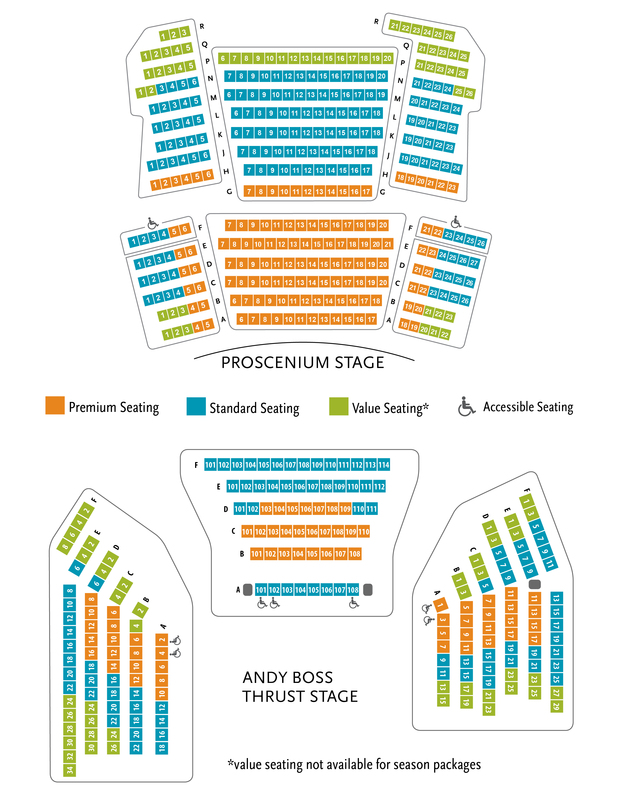 Remodeled with a taller arch, increased wheelchair seating, new (amazingly comfortable) seats and finishes, the Proscenium offers a great view of the action from every seat in the house. A private sound proof viewing booth with an expansive glassed-in view of the stage offers seating for up to six guests or three wheelchairs with companion seats. The gracious Nicholson lobby echoes the history of the truly grand Capitol Theatre that was built on this site in 1919. 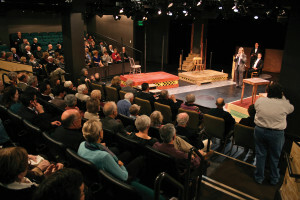 Together with the Securian and Deluxe Galleries, as well as a dedicated rehearsal hall, the Proscenium Stage offers ample space for events, meeting and pre-show receptions.